Tonight’s Liga MX final first leg sees Santos Laguna host Queretaro. Queretaro and Santos finished the season in the 6th and 8th position, respectively. Queretaro had been fighting against relegation and their priority was to remain in the first division, but when Victor Manuel Vucetich was appointed as their new manager only a couple of months their fortunes turned around. 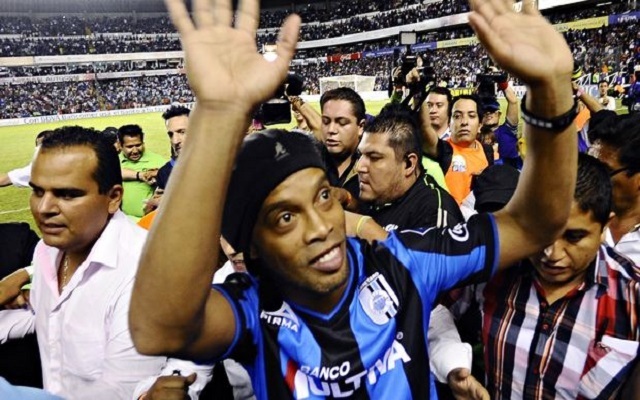 Vucetich doesn’t normally pick Ronaldinho as part of the first team due to his disciplinary issues, but tonight everyone – even Santos fans who are travelling to Queretaro – want to see the Brazilian superstar in action. Santos has been one of the surprises of the playoffs, beating regular season winners Tigres in the quarter final and Chivas in the semi. The Santos manager has never won a titles, but the club have 4 titles. On the other side Queretaro’s manager has won 5 titles, but his club haven’t won any yet. The top scorer for Santos is Nestor Calderon with 6 goals and for Queretaro the top scorers are Emanuel Villa and Orbelin Pineda with 5 goals each.